Handset, Charger, USB cable, Ejection tool, Earphone, Quick start guide. *The preceding specifications are theoretical values based on product design. 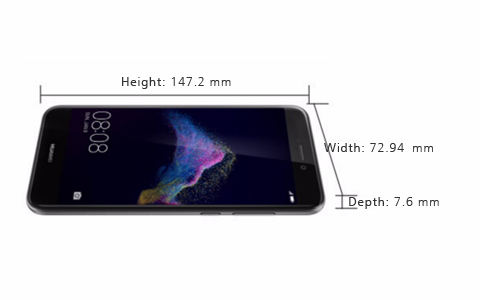 To provide accurate product information, specifications, and features, HUAWEI may make real-time adjustments to the preceding specifications, so that they match the product performance, specifications, indexes, and components of the actual product. Product information is subject to such changes and adjustments without notice. ©2019 Huawei Technologies Co., Ltd. All rights reserved.